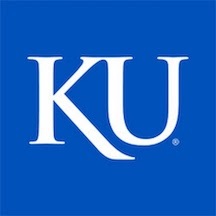 A new study by researchers at the University of Kansas finds that when female athletes have strong mentors, the relationship helps them combat issues of sexism and helps them navigate problematic behaviors. The study was authored by Kathryn Vaggalis, a doctoral candidate in American studies at the university and Margaret Kelley, an associate professor of American studies. The scholars interviewed college undergraduates who were former high school athletes and identified teachers or coaches as natural mentors. Natural mentors are those identified by students in their school environment rather than one assigned through a formal mentoring program. The results showed that when mentors instill self-esteem and the idea that the students’ lives matter to others, it can boost athletic ability, provide opportunities for leadership and leave a positive effect on women’s continued involvement in sports. “Mentorship and the feeling of mattering is really important to female athletes in dealing with issues of discrimination or bullying that can impede women’s full participation in sports, such as playing on a mostly male team or confronting sexual harassment,” said Vaggalis.